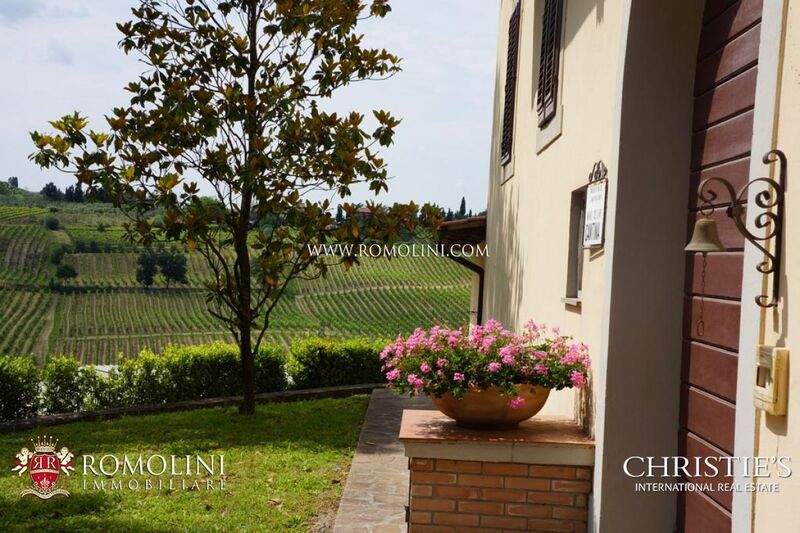 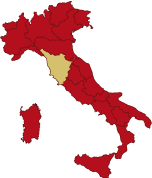 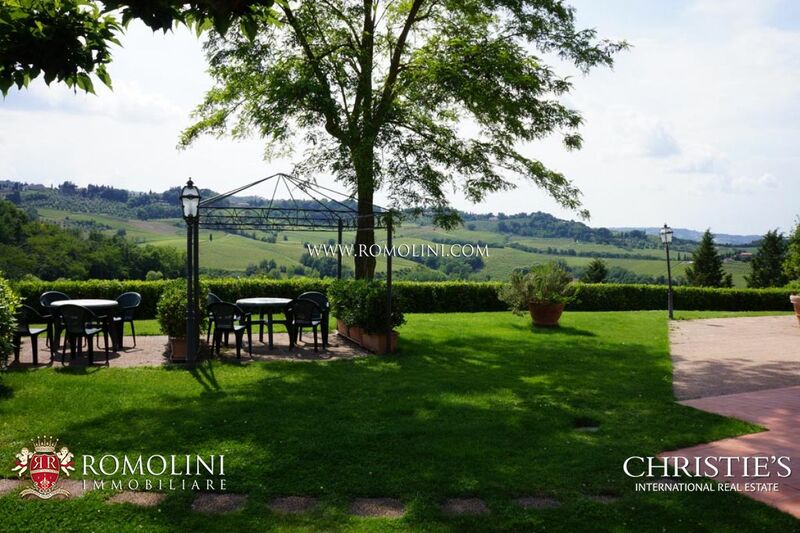 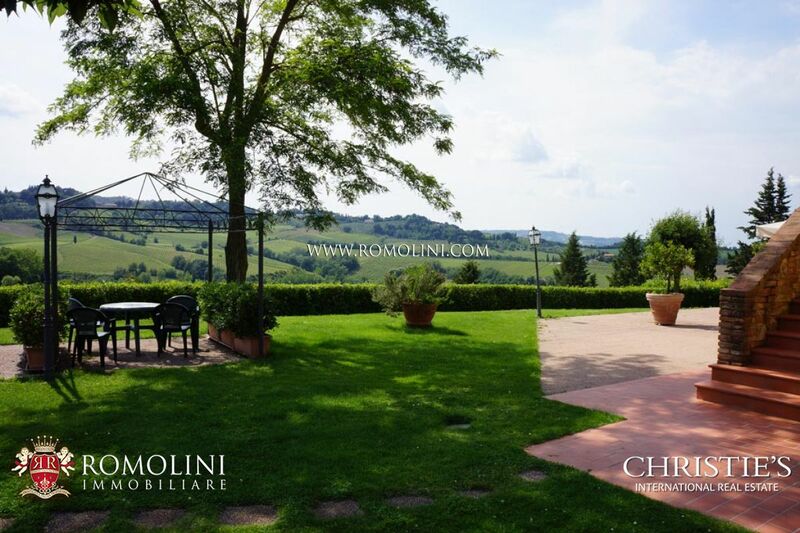 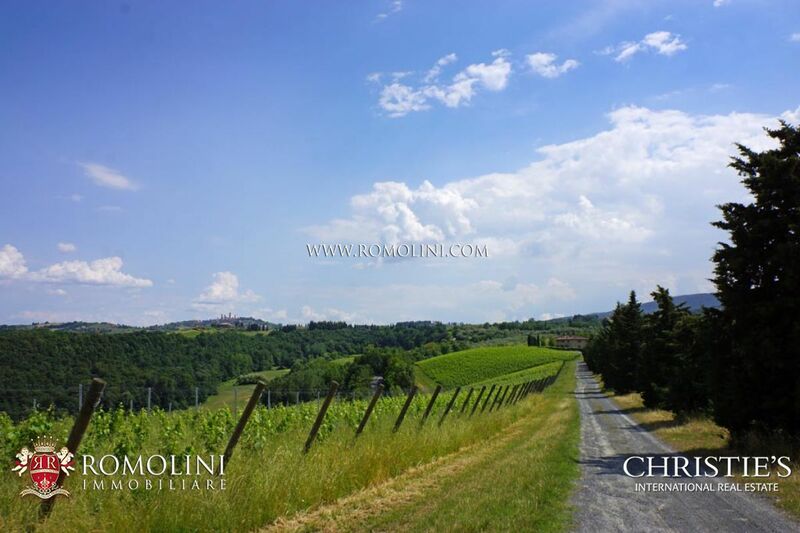 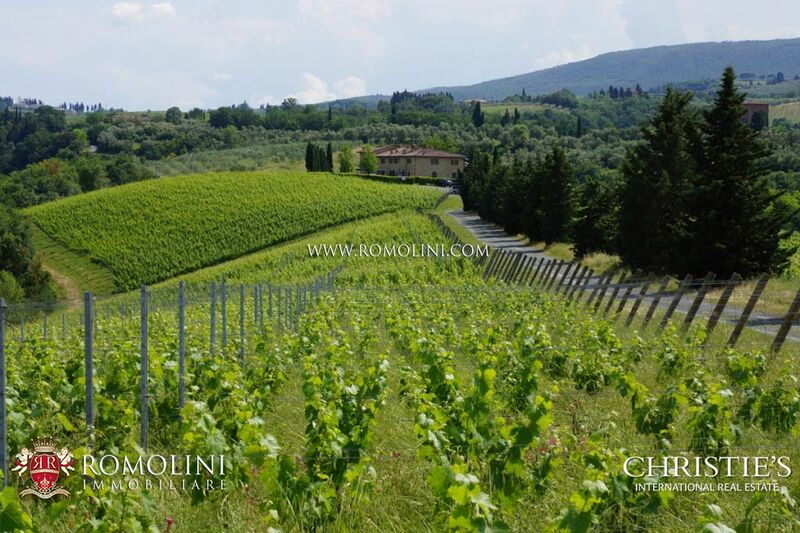 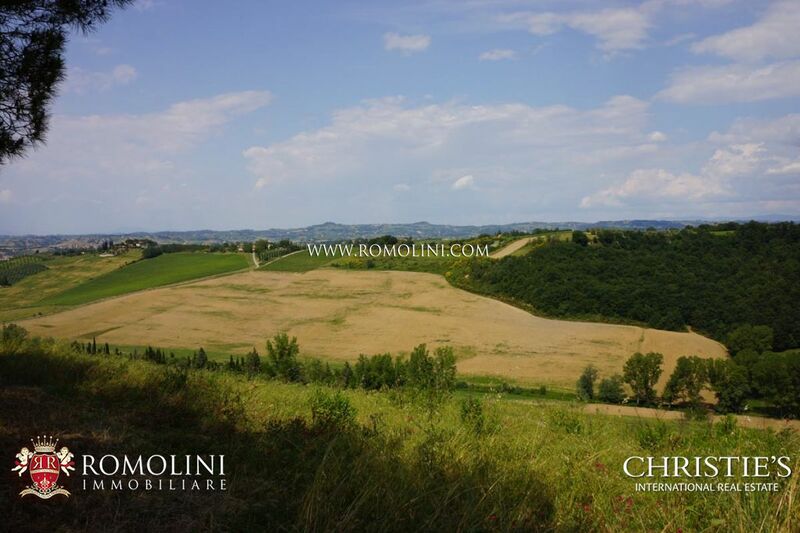 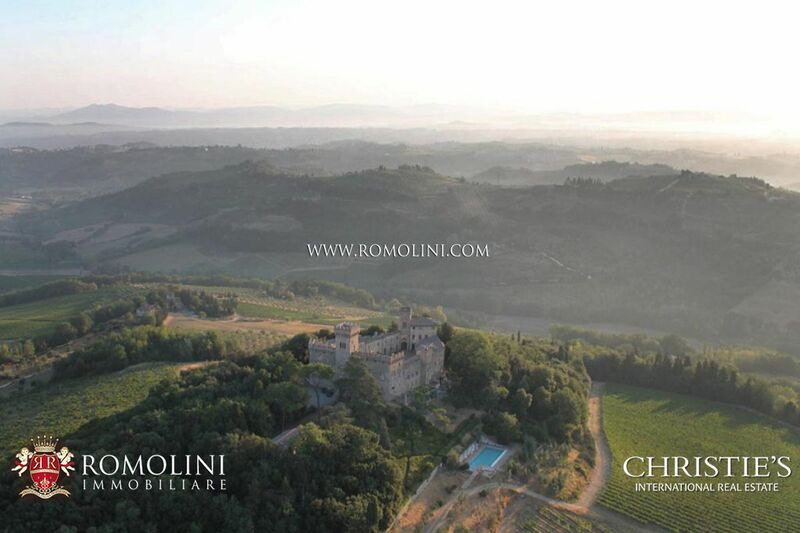 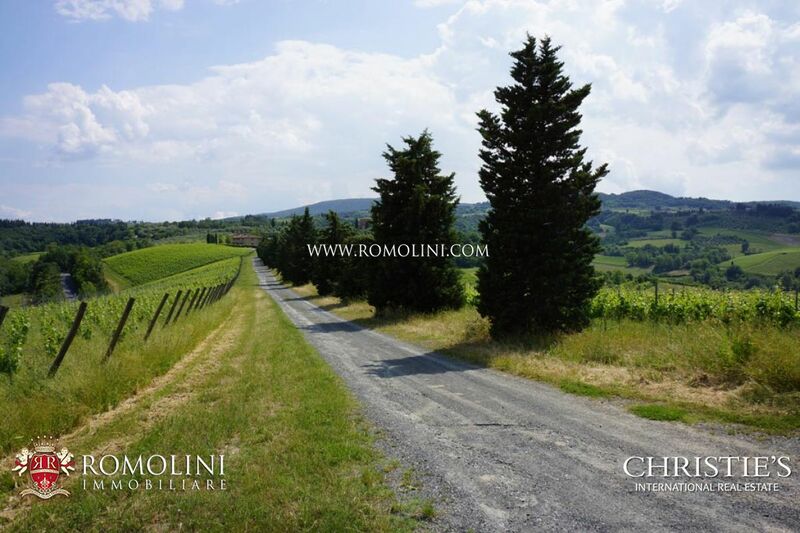 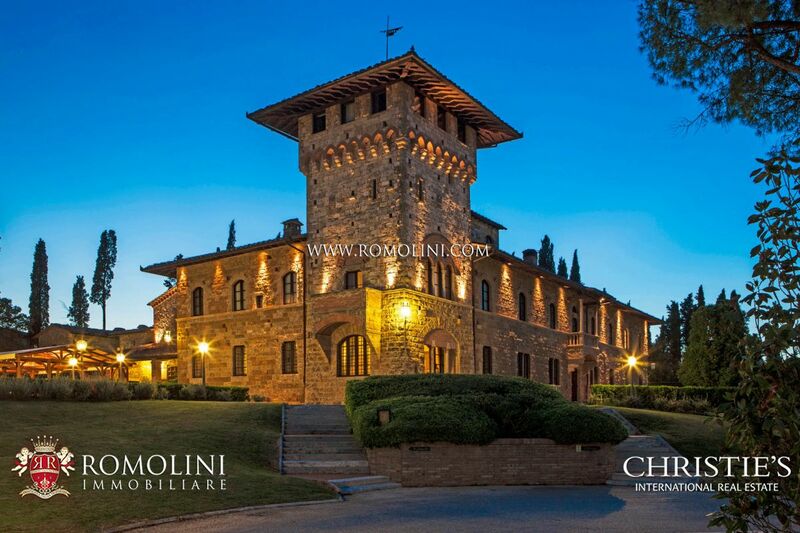 A few kilometres from the historical centre of the medieval town of San Gimignano, recognized by UNESCO as a world heritage site, in the hedge of the Tuscan countryside, estate with 200 hectares of land, including 25 hectares of vineyards, olive grove, arable land and grazing land. 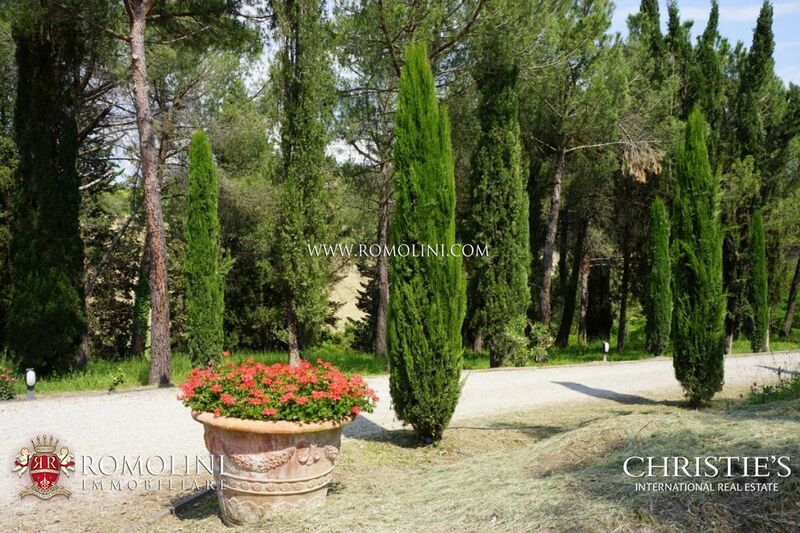 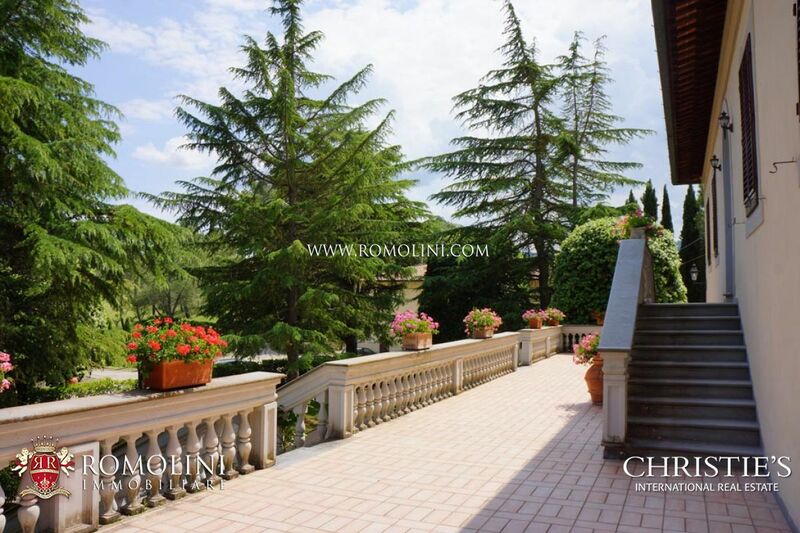 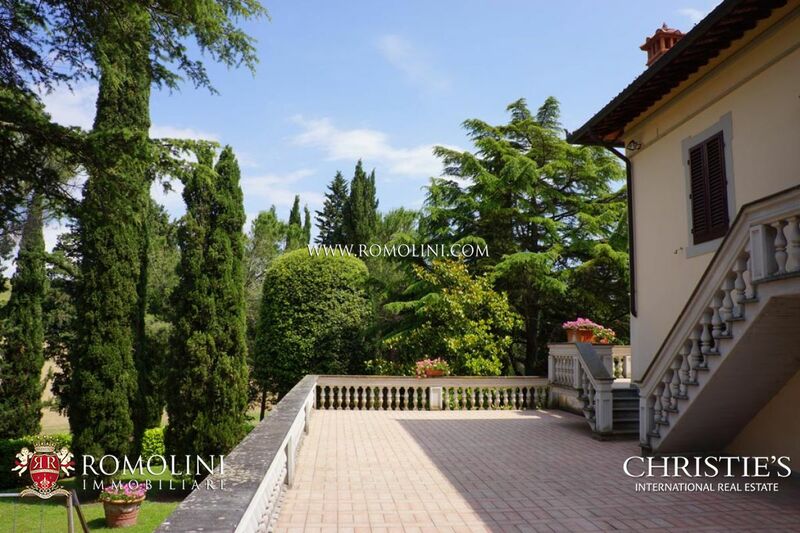 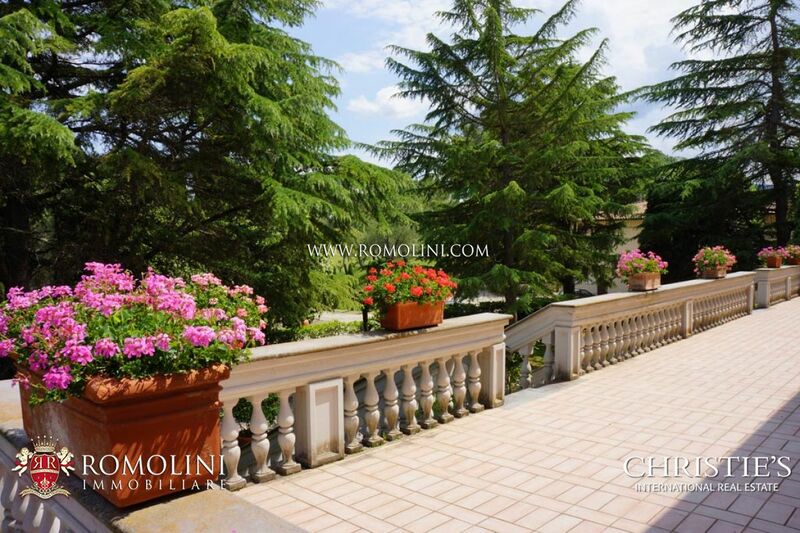 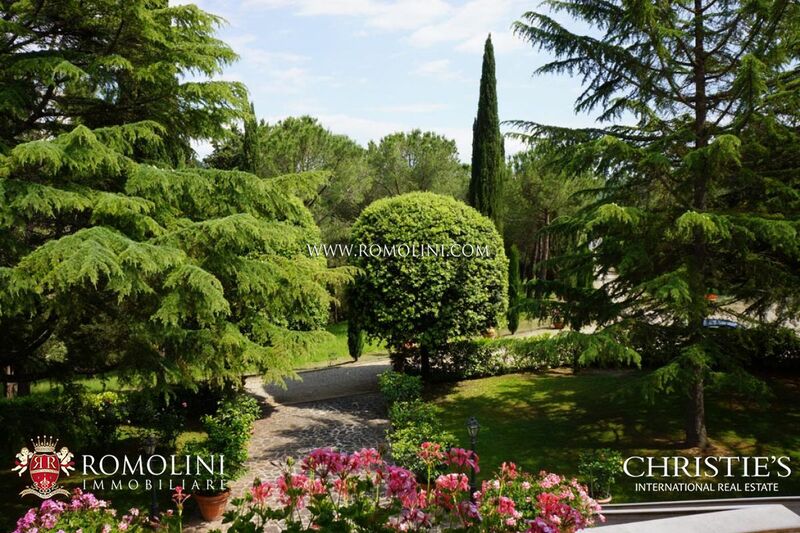 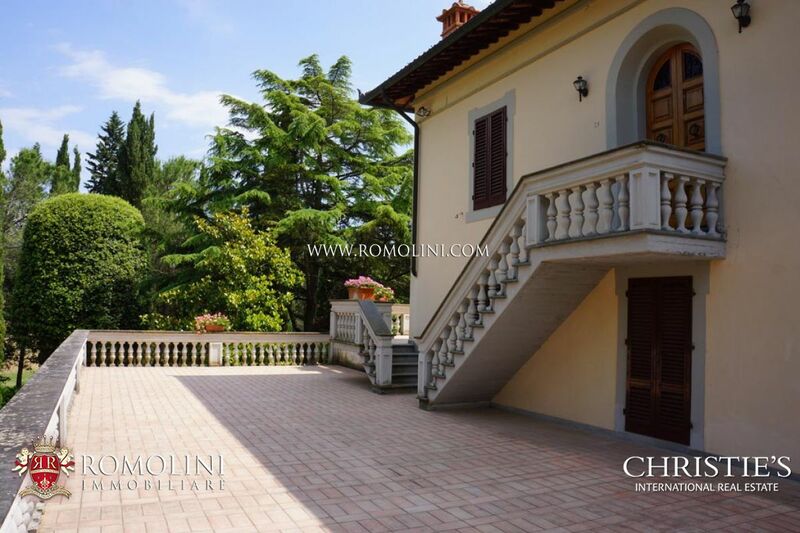 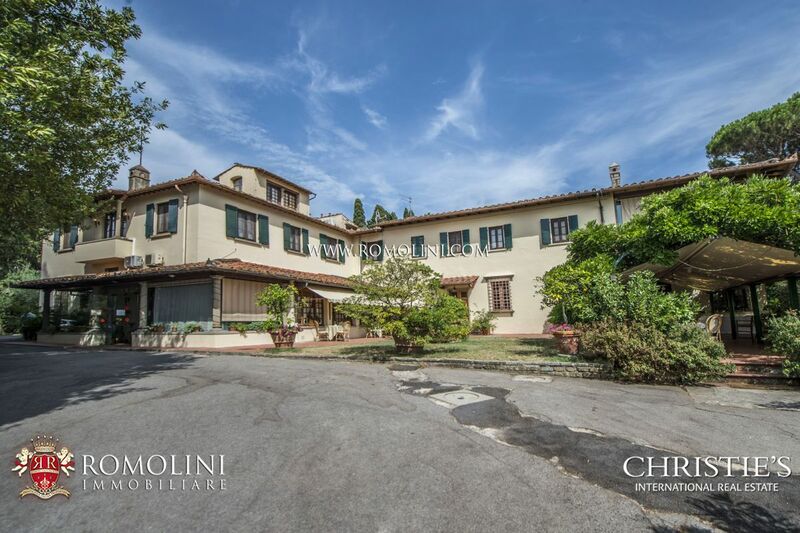 The manor villa (457 sqm) is surrounded by a perfectly maintained garden of 8.517 square metres, with box hedges and tall trees. 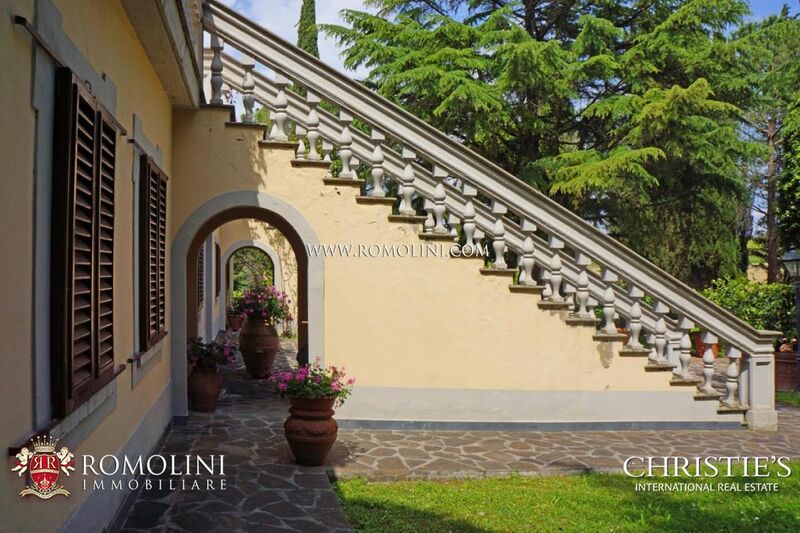 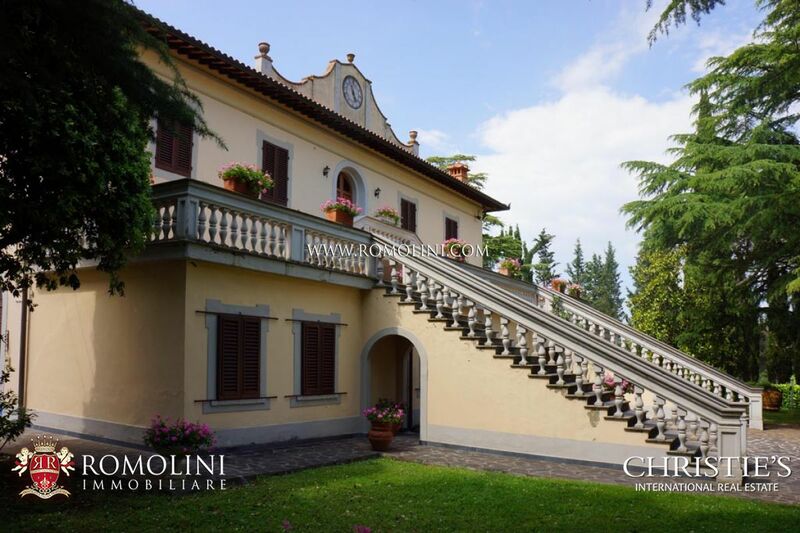 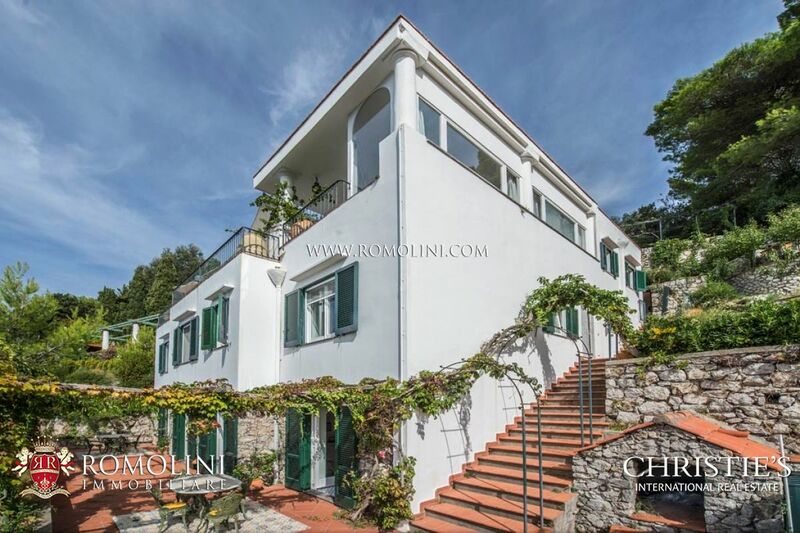 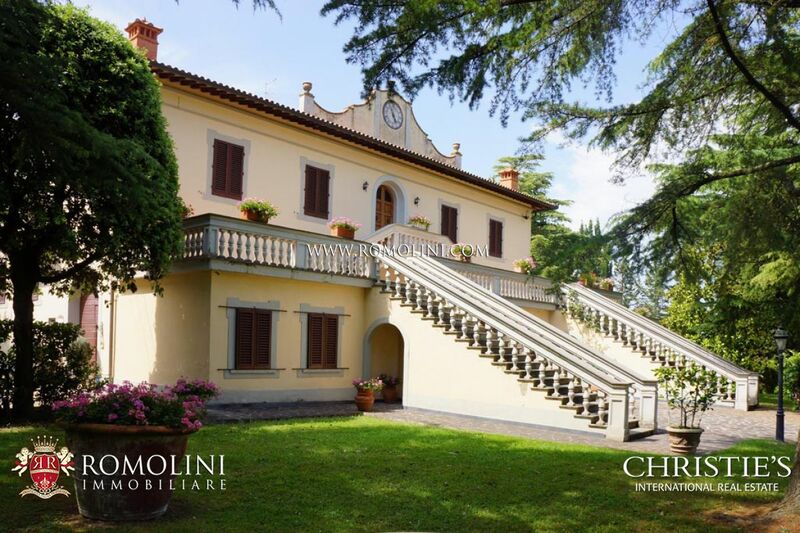 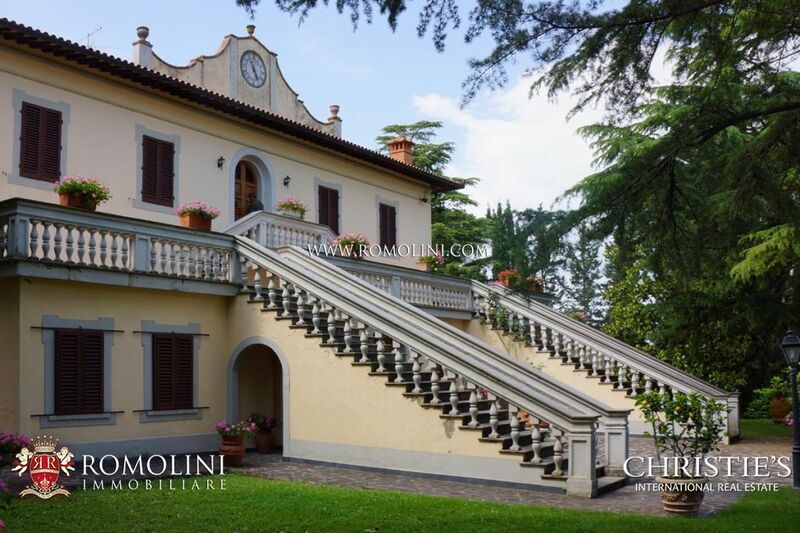 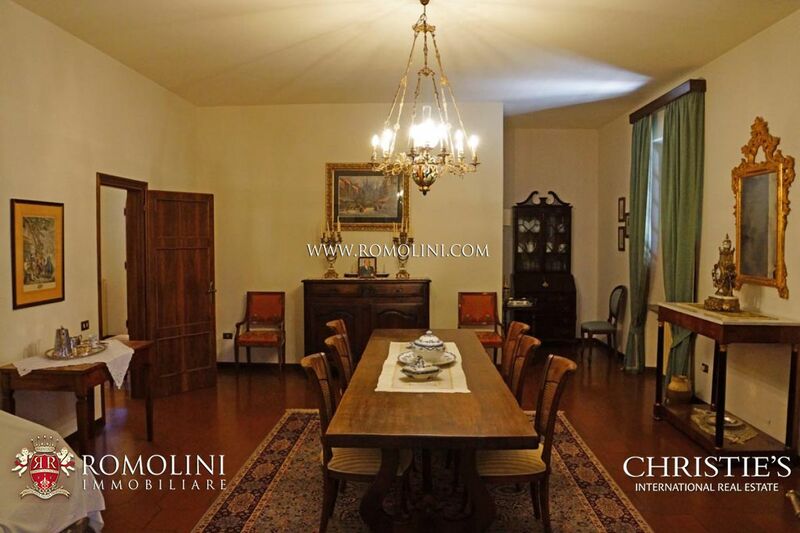 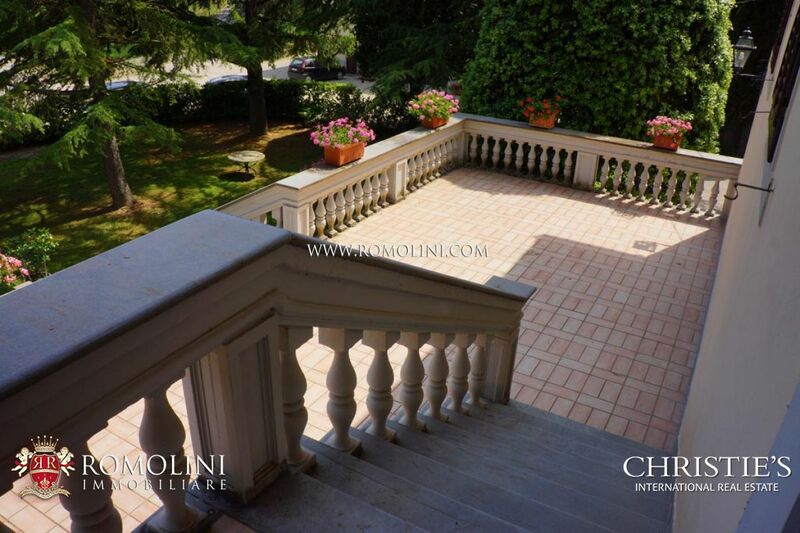 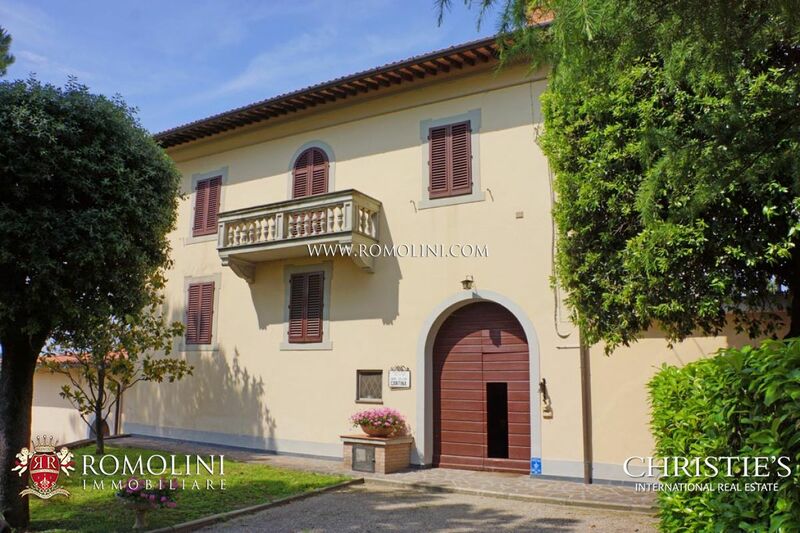 Characterized by a wide stone staircase and by the old central watch, this luxury historical property is in good structural condition but needs some renovation works. 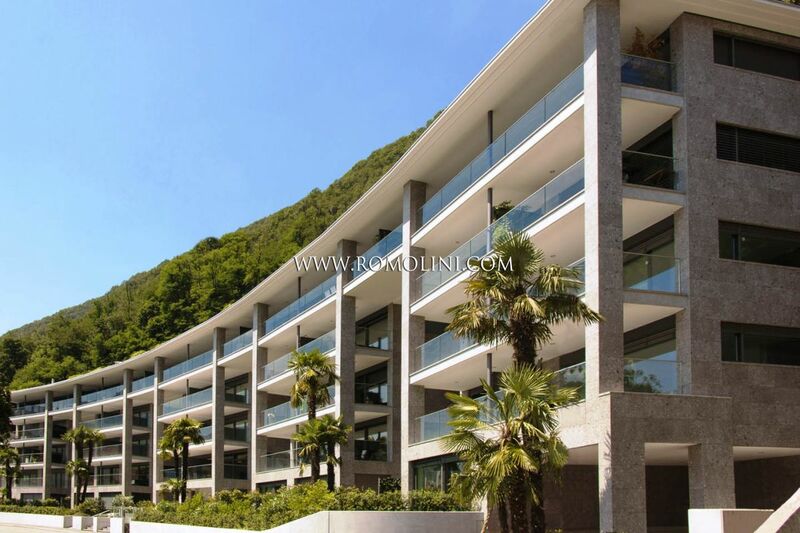 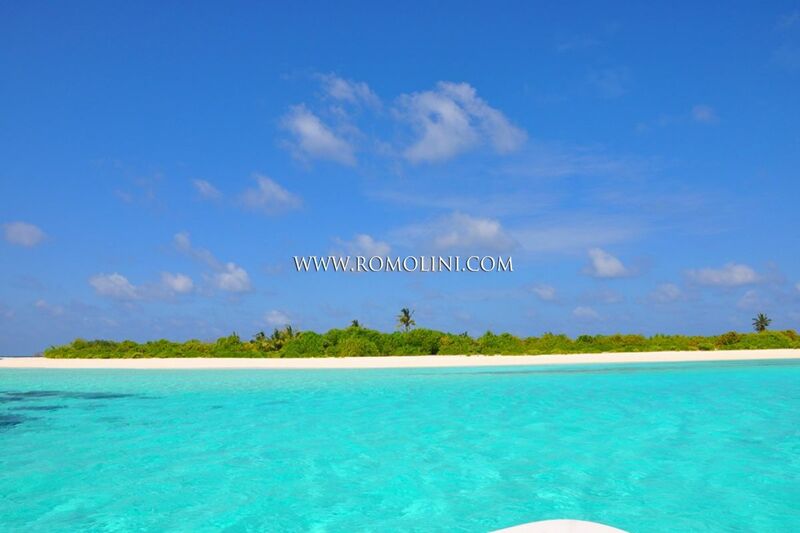 At the moment the villa includes three bedrooms and two bathrooms. 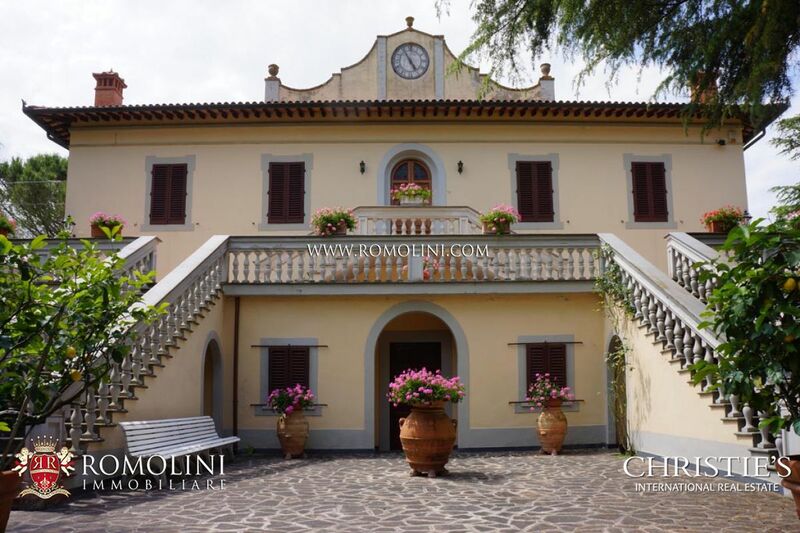 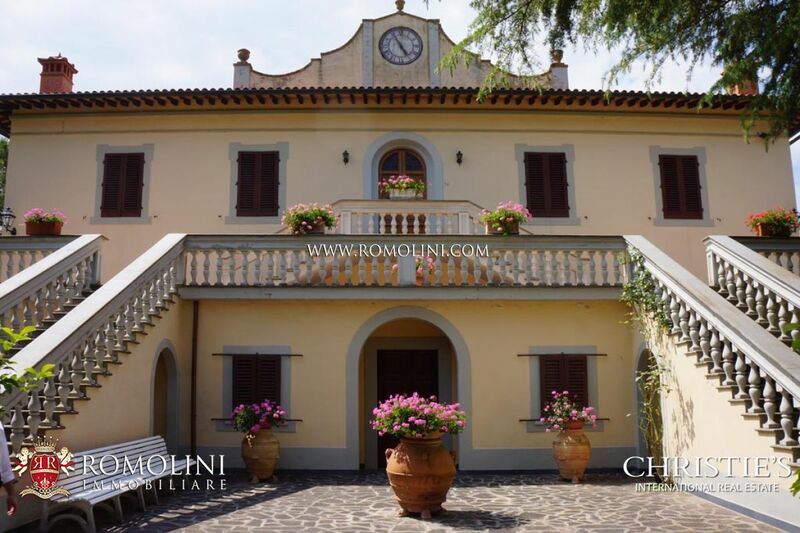 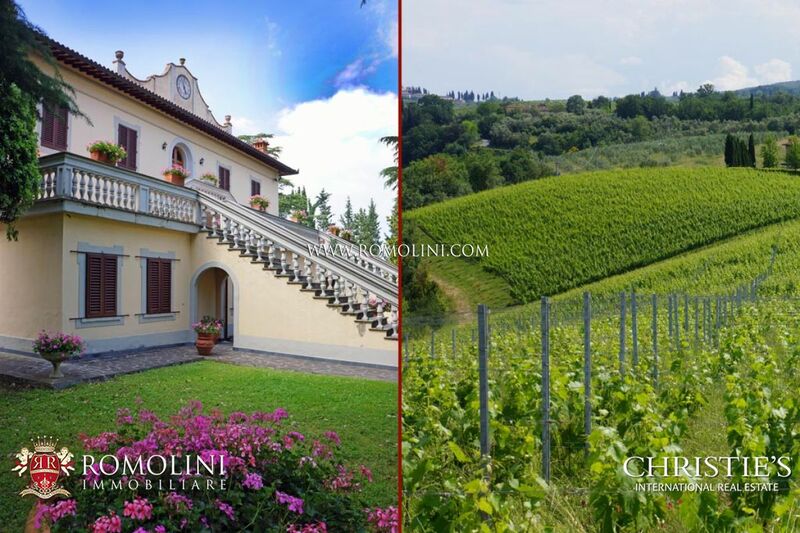 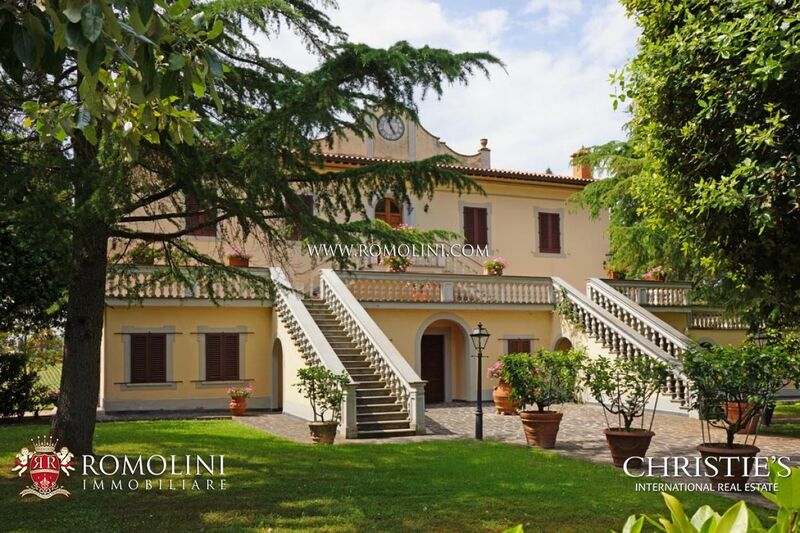 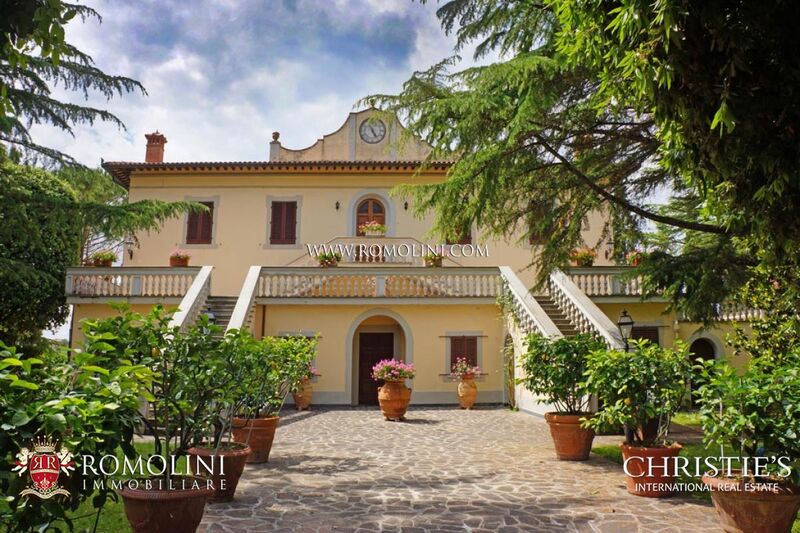 Surrounded by vineyards, the villa also boasts a tennis court and a swimming pool in need of some improvements. 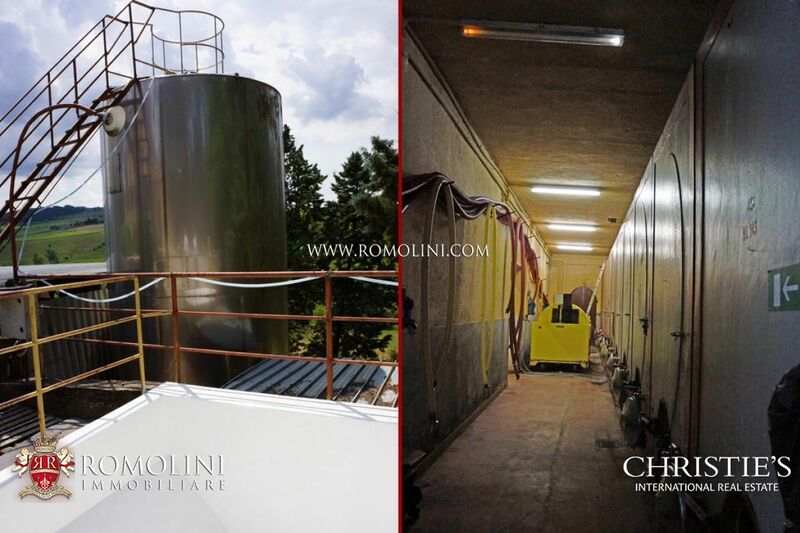 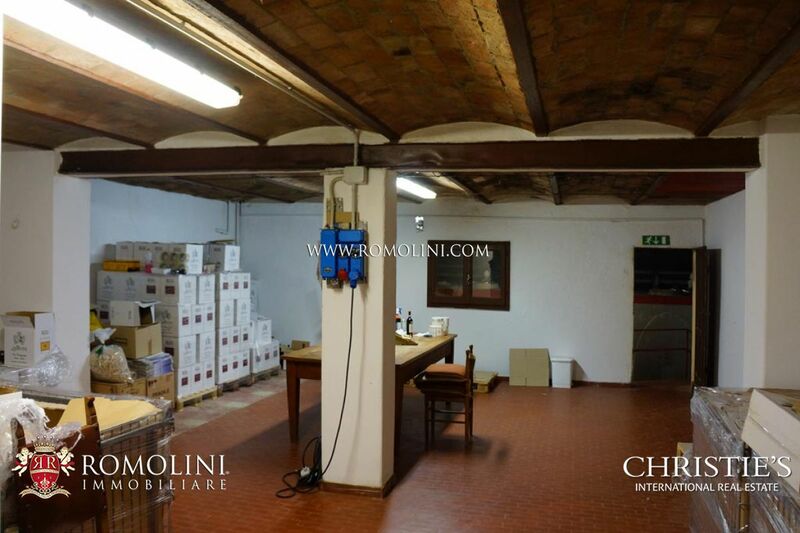 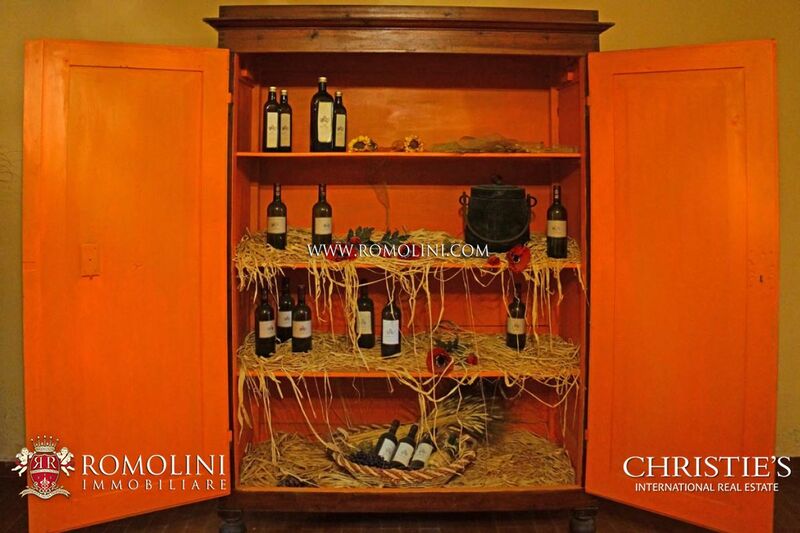 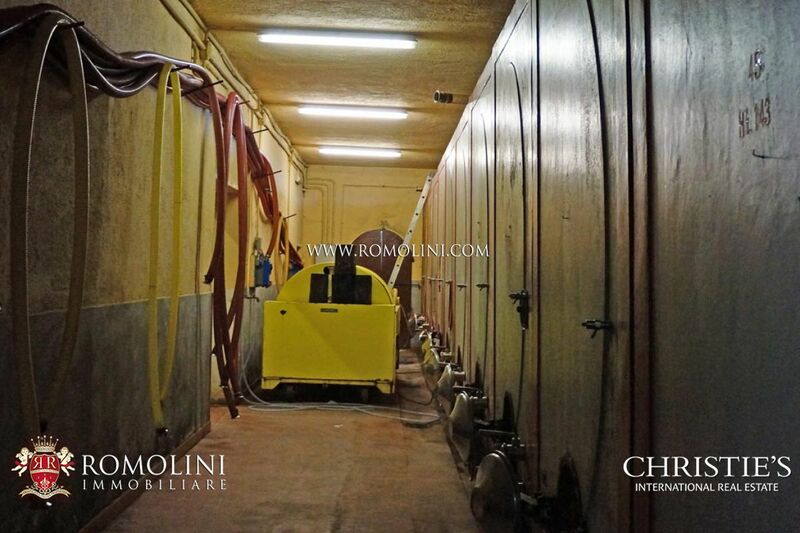 The wine cellar (492 sqm) is perfectly equipped for winemaking. 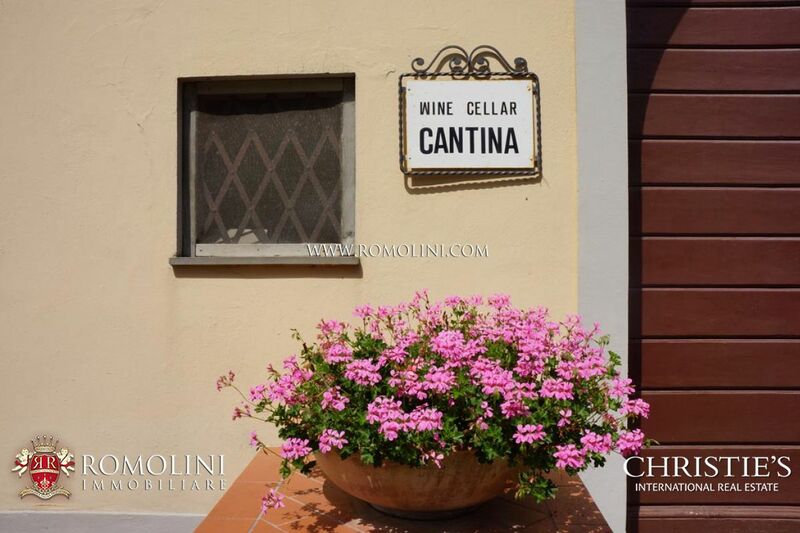 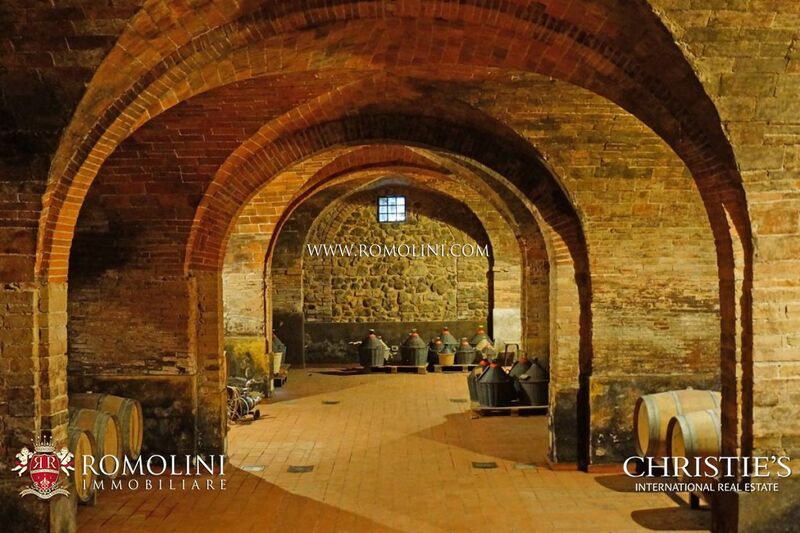 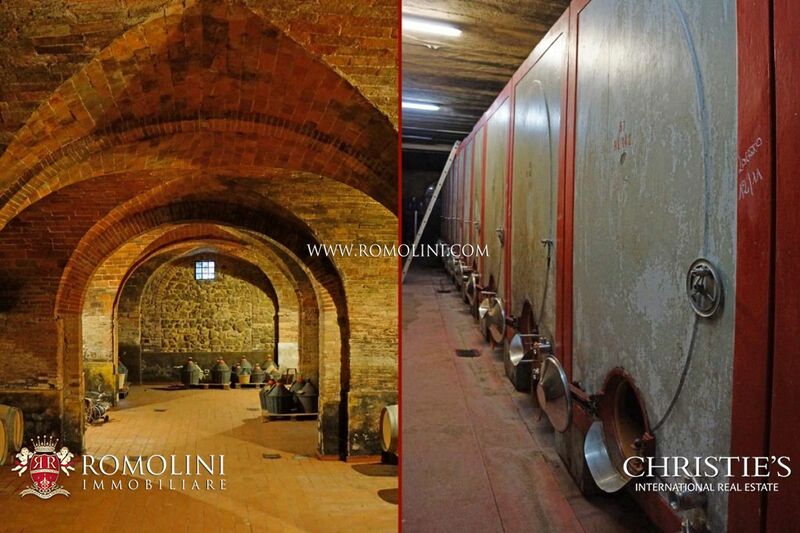 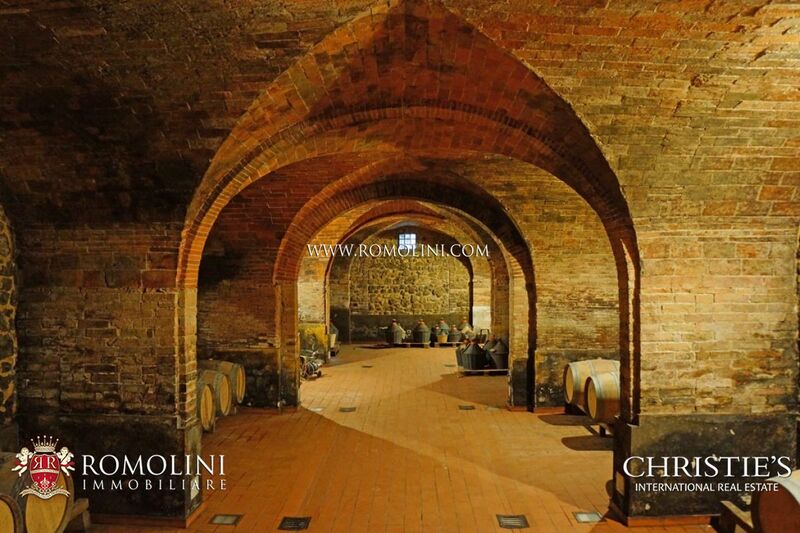 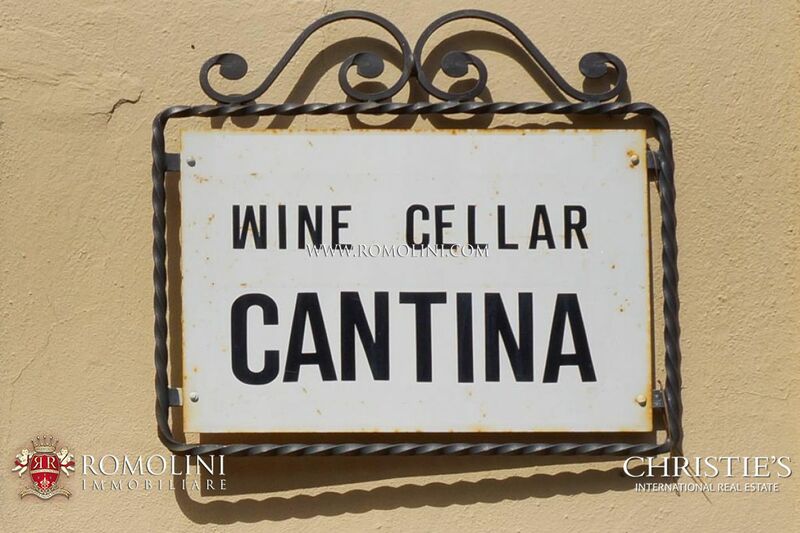 The wine is stored and aged in barriques, in the oldest part of the cellar, characterized by the typical vaulted brick ceilings, that keeps constant temperature and humidity. 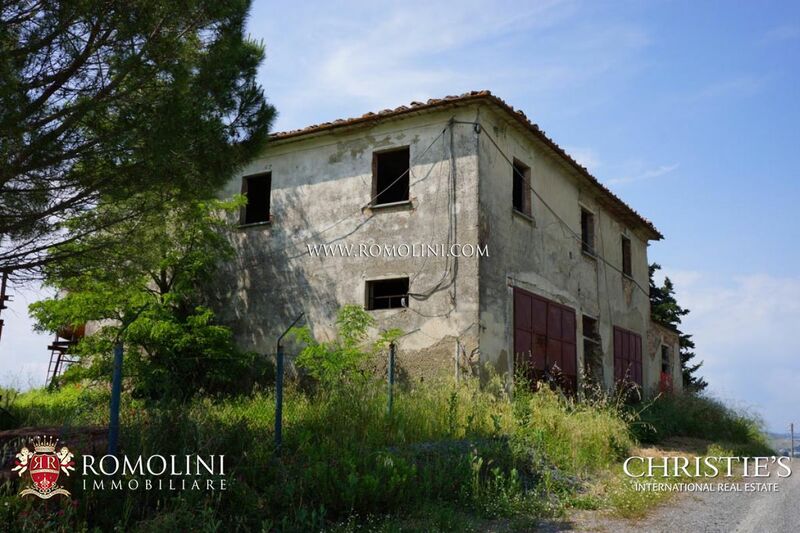 The caretaker's house (269 sqm) is in good structural condition but needs a renovation. 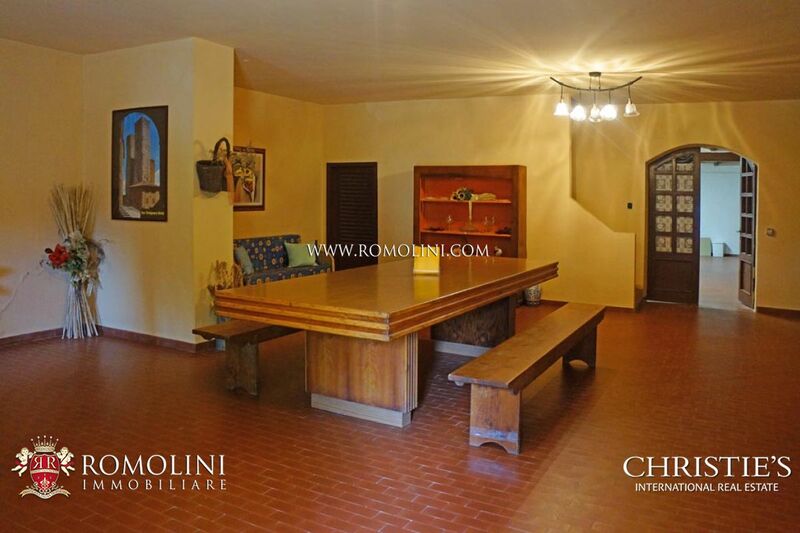 The building is made up of living room, kitchen, bedroom, bathroom. 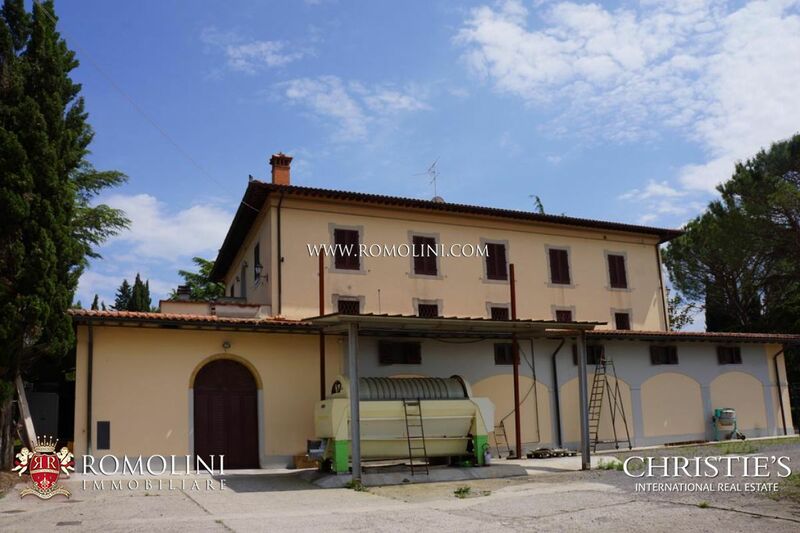 A big farmhouse (3,230 sqm), located on a hilly and panoramic position with a wonderful view on the vineyards, needs a complete renovation. 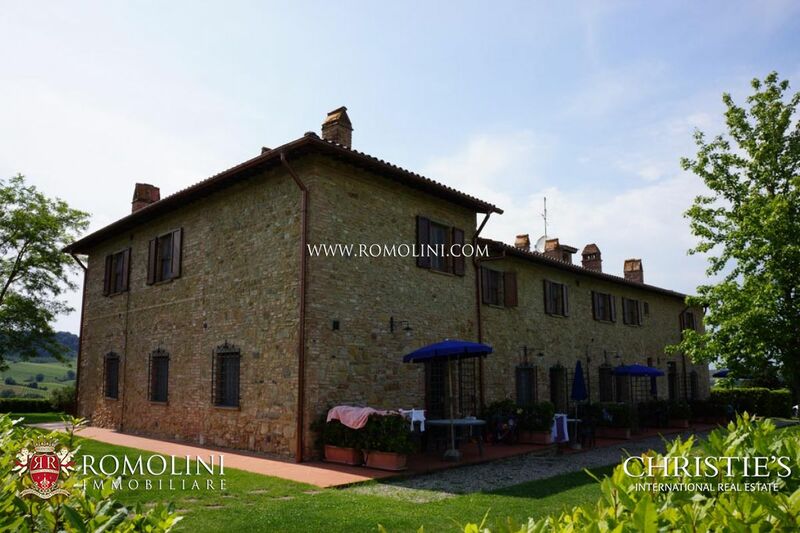 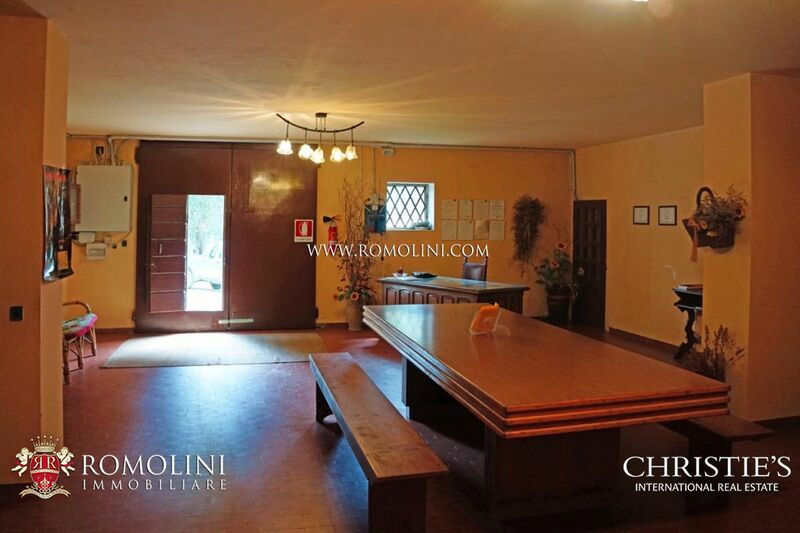 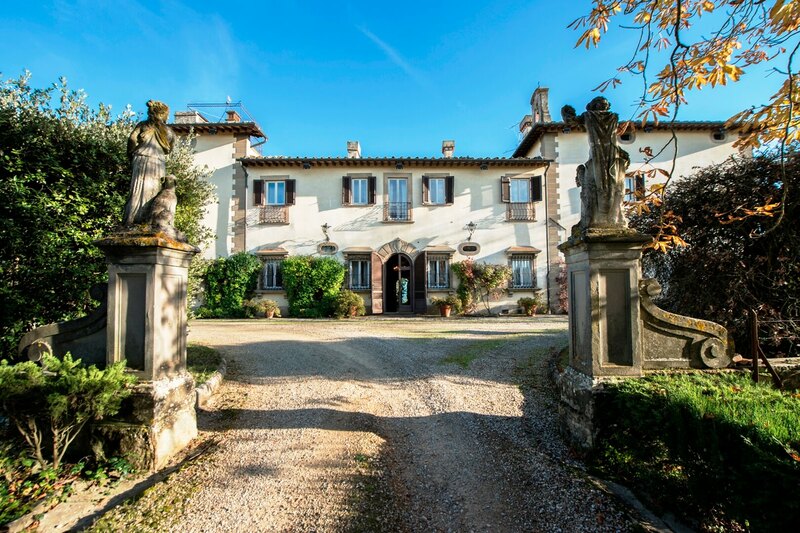 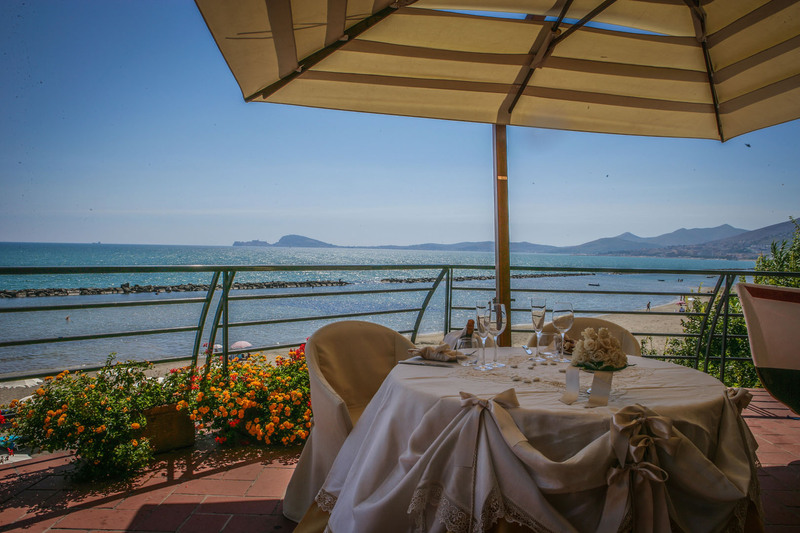 The Agriturismo (430 sqm) hosts eight apartments, each with independent entrance. 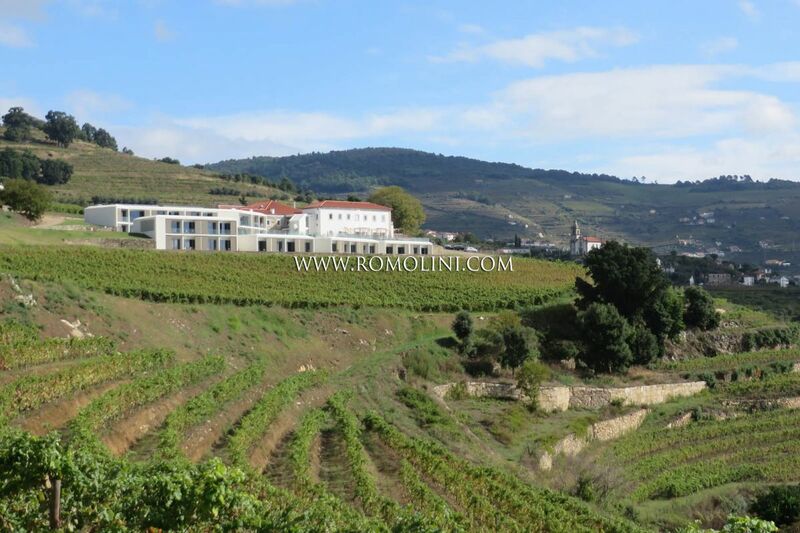 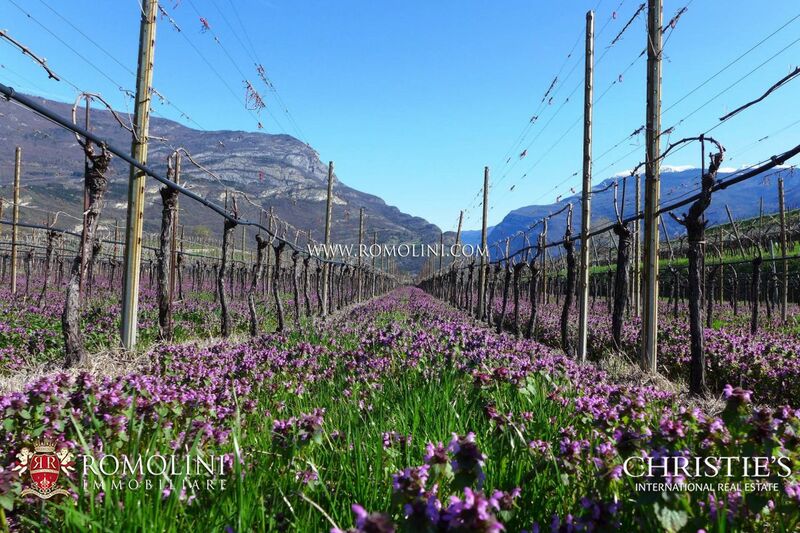 The 200 hectares of the property include 25 ha of vineyard, a 3.5 ha olive grove, 110 ha of arable land already in use, 46.6 ha of mixed woodland (high, medium and coppice), 2.5 ha of grazing land, 2.4 ha of unused land and 10 ha of gardens. 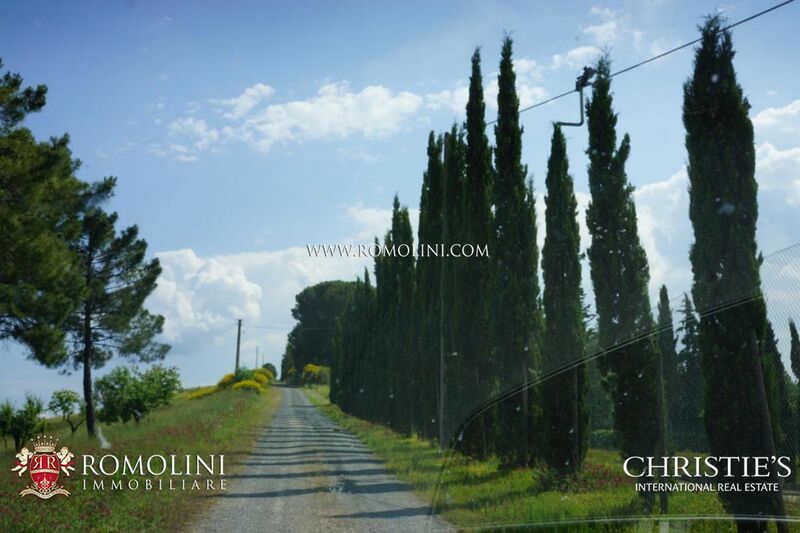 The olive grove (3.5 ha) is made up of Moraiolo, Frantoio and Leccino cultivars producing up to 6 quintals of oil each year.